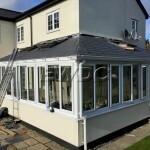 How Do We Install Your Tiled Conservatory Roof! 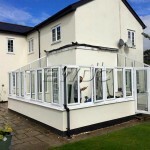 We transform your living space in just a few steps. Here is a breakdown of how the process works to give you a better understanding of the Guardian Warm Room installations. 1. 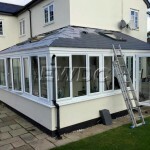 We remove your existing roof carefully and dispose of it in an environmentally friendly way. 12. 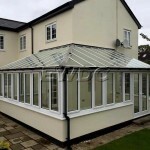 Then we finish by fitting the hip and ridge covers, guttering and trim. 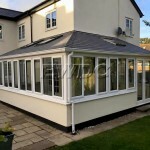 We give it all a clean off and there you have it, a beautiful brand new roof installed by Exe Windows Doors and Conservatories. 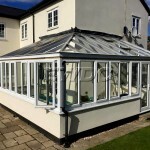 This process can take between 3-5 days depending on the size of your existing conservatory with very little disruption. 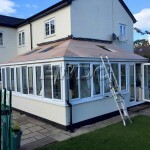 Then we finish by fitting the hip and ridge covers, guttering and trim.